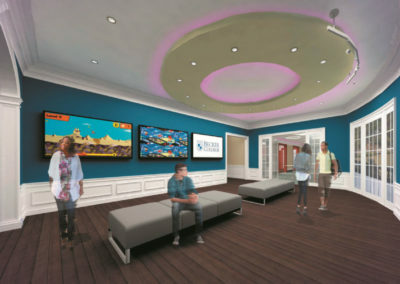 This new exciting and interactive building links two historical structures with a modern addition aesthetic designed to engage and stimulate the users. 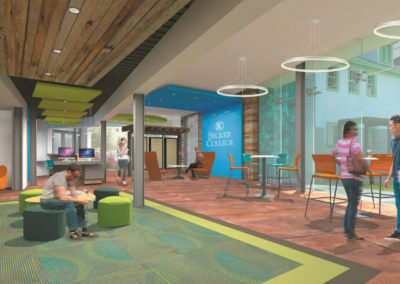 Students are offered a myriad of spatially diverse learning opportunities throughout this unique 24,000 square foot facility enhancing a positive student experience. 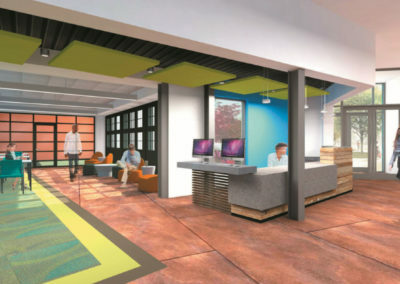 Spaces throughout the building were designed to foster student collaboration in order solve problems locally and globally. 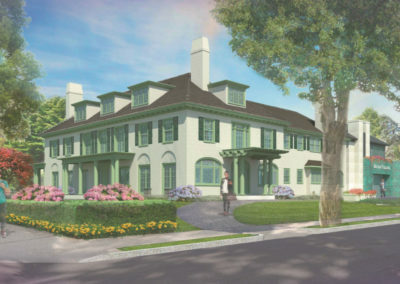 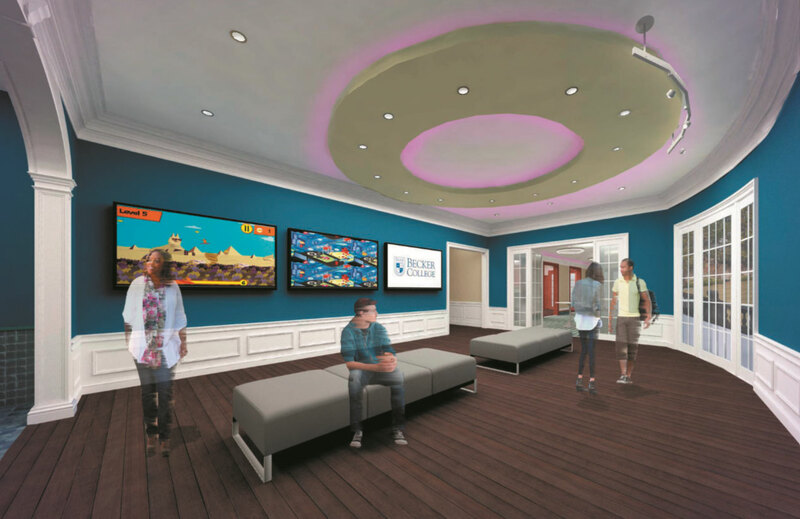 The renovations to the former City of Worcester industrial magnate John Woodman Higgins House includes careful upgrades of interior spaces with accessibility design, mechanical, electrical, and data systems combined with restoration of the major interior spaces and building exterior. 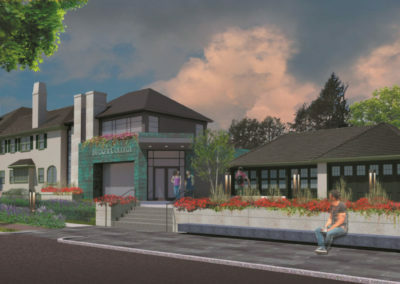 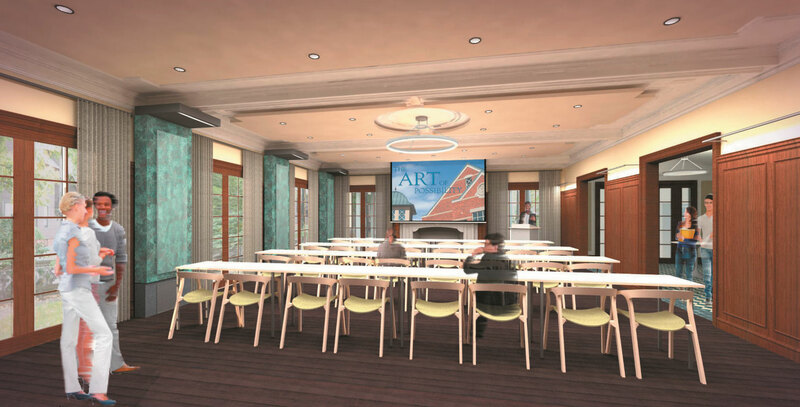 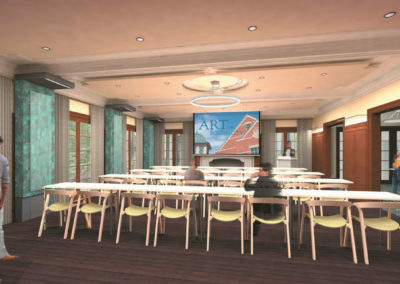 While maintaining the vintage carriage house character, the existing carriage house has been transformed into an incubator style classroom, flexible resource space, and new toilet facilities. 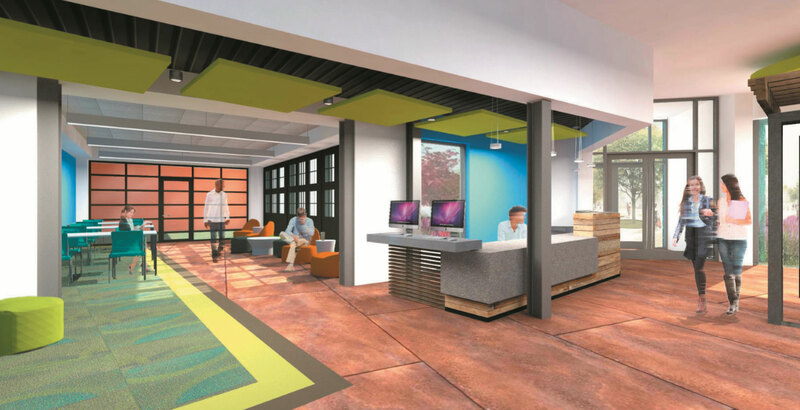 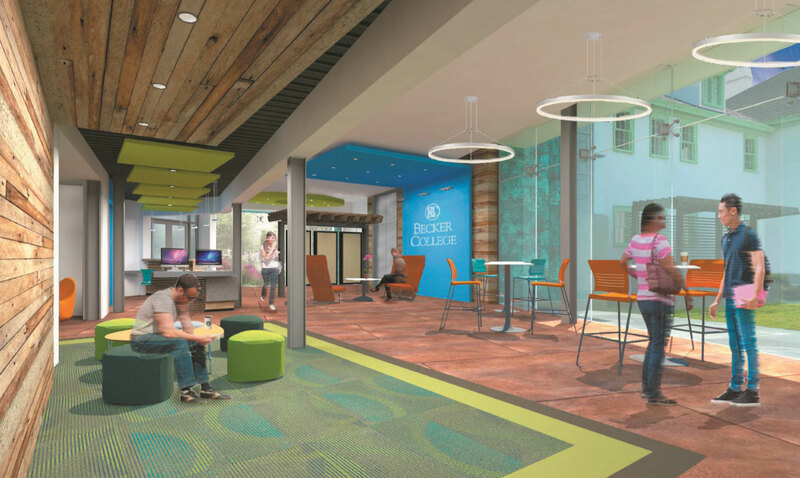 This is the realization of a longtime commitment by Becker College to create a facility which enhances the neighborhood while fulfilling its promise to provide students with a new world class facility.